Sleek and luxurious with supple leather seats for up to 35 passengers! Plush leather seats, custom lighting, and on full service bar! Custom two-tone leather seats, hardwood floors, dance pole, and colorful lighting! Comfort and luxury for up to 20 passengers with full bar and great sound system! An amazing limousine for up to 16 passengers with comfortable seating and on board bar! The ultimate limousine. Custom two-tone leather seats, full bar, TVs, and tinted privacy windows! Spacious yet cozy. Multiple TVs, great sound, and full bar! Our largest bus for up to 45 passengers. Colorful lights, great sound, and more! Sacramento Limo Bus is Sacramento's premier limo bus company! We specialize in the the finest luxury transportation and we provide our services for any event you can imagine! Our dedication to our clients has allowed us to grow into Sacramento's most trusted limo bus company. Our team works hard to keep all of our vehicles in pristine condition and we stand behind our product and our promise to provide the best service 100%. Our vast fleet of luxurious limo buses is sure to have the bus of your dreams to add the perfect luxury touch to any event. And with so many amazing features packed into each vehicle, they're versatile enough for a variety of occasions. Chill champagne in the cooler or turn up the music and make use of the dance poles! Our vehicles are perfect for all events - Weddings, birthdays, bar hopping, tailgating - you name it and we can service it! Our buses vary in size so no matter if you have a small or large group we'll have something to accommodate you. Our buses all feature luxurious seating, colorful lights, TVs, on board bars and more! There's no better way to travel to any event than on a luxurious limo bus from the best in town. Because our Sacramento party bus vehicles are so versatile, they're in demand for all sorts of events, so we've become experts all types of event services. We're prompt, reliable, and have only the best drivers employed so we can be sure that the transportation aspect of your event will go off without a hitch! Client satisfaction has always been our top priority and continues to be our top priority to this day. In addition to a great fleet, our amazing services are available 24/7 and our service area extends far beyond Sacramento so you can travel nearly anywhere! To top it off, our prices are the best in the area. Browse our site to learn more and to view our vast fleet of luxury buses & charter buses. When you're ready, give us a call to book your reservation! We've got some amazing vehicles available. No matter how many guests you'll have or what in style vehicle you're looking for, we've got you covered! We service all types of events! Weddings, birthdays, bachelorette parties and more! Whatever Sacramento event you're planning or celebrating, we have the perfect mode of transportation. You'll find that traveling around town is a pleasant experience when you're able to relax and celebrate on a luxurious party bus or limousine. Our Sacramento limo rentals are the best in town, with top-notch service and unbeatable prices. Visit our events page to learn more about the services we offer! Weddings are one of the most popular reasons to rent one of our buses in this beautiful area that we live in. It's such an incredibly special day, and you deserve nothing but the very best when you are celebrating your nuptials. 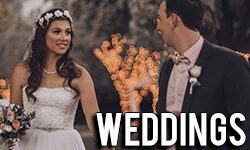 We've worked hard to put together enticing wedding packages that really add something special to your beautiful day, in addition to the elegant transportation that we always provide. Squeezing your wedding dress into a cramped car or even an ordinary limo just won't do. You'll be able to stand up and move and dance in our bus! And we provide crystal glassware for your champagne coolers too. A touch of class on your wedding day is a must! 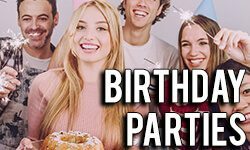 It really doesn't matter whether you're celebrating a Sweet 16, a 21st, a 50th, or a 100th birthday! A party bus is the ideal mode of travel. You can hit up all your favorite spots, including restaurants, bars, museums, galleries, movie theaters, shopping destinations, concert venues, etc., all while partying it up in the bus! Watch your favorite throwback movie while you cruise and head out for a really relaxed birthday dinner or a truly crazy night out! Whatever you have in mind, we're here for it! Would you believe that there are over 400 Napa Valley wineries for you to explore? The best way to visit as many as you want to see in one day is to book one of our buses. You can plan your itinerary down to the last detail, or just wing it if that's more your style! You can enjoy your wine as you cruise, putting your bottles on ice in our cooler if you like, and sipping as you take in those outstanding views. There's plenty of room in the bus for the wine that you'll buy, and you'll have even more quality time with your friends since you can sip and chat while you drive. 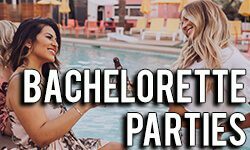 Both bachelor and bachelorette parties are really amazing when you choose our transportation services. We've got the largest buses around, so you can really invite all of your friends, and our party features make the ride there and back just as fun as your party destinations! Bachelors love hitting up the bars. Bachelorette's love that too, but many opt for a spa day in addition to that! Nothing like some pampering before your big night out! 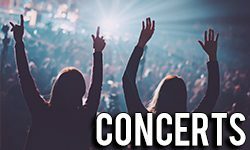 We take so many of our customers to concerts, and sporting events too! There's nothing like eliminating the traffic and parking concerns from the experience and being able to truly focus on the show. If it's a sporting event, you can enjoy the ultimate tailgating experience and really celebrate if your team wins! We can't wait to take you out to the ballgame!